With the discussion of placing an image of Harriet Tubman on the U.S. $20 bill, attention focuses on black history. 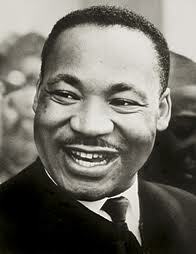 Martin Luther King Jr. Day is celebrated on the third Monday in January and February is Black History Month. In early summer, the United States focuses on American history with its observance of Memorial Day, Flag Day and 4th of July. But really, every day should honor such important contributions of American people and every month Americans should celebrate U.S. history. Here are free printable American history lesson plans on the great civil rights leader Martin Luther King Jr. MLK Jr was born on January 15, 1929. MLK and was shot by an assassin's bullet on April 4, 1968. Use these free printable lesson plans to explore this legendary hero in the classroom, homeschool, scout troops 4H and social groups. Nobel Prize has free printable MLK Jr and black history lesson plans, As the 1964 Nobel Peace Prize winner, Martin Luther King Jr. is featured on this website with a comprehensive bibliography of resources. About has an entire unit of free printable Martin Luther King Jr activities, including a 5-page activity booklet Happy Birthday MLK by Jean Marzollo. It covers the life and work of Dr. King. The lessons guide students through readings, discussions, response activities and higher order thinking skills questions. ABC Teach has 16 free printable lesson plans focused on world peace and unity. There are crafts, writing prompts, posters, games, coloring pages, word search, worksheets, reading activities, acrostic forms, poetry frames and much more. After all, peace, unity and brotherhood was what Dr. King was all about. ABC Teach MLK has free printable writing prompts, worksheets, lessons, games and activities about Dr. Martin Luther King Jr and his speeches, including "I have a Dream". There are Black History Month activities. In conclusion is a quote from that famous speech made by Dr. King, made on August 28, 1963 at the March on Washington for Jobs and Freedom.